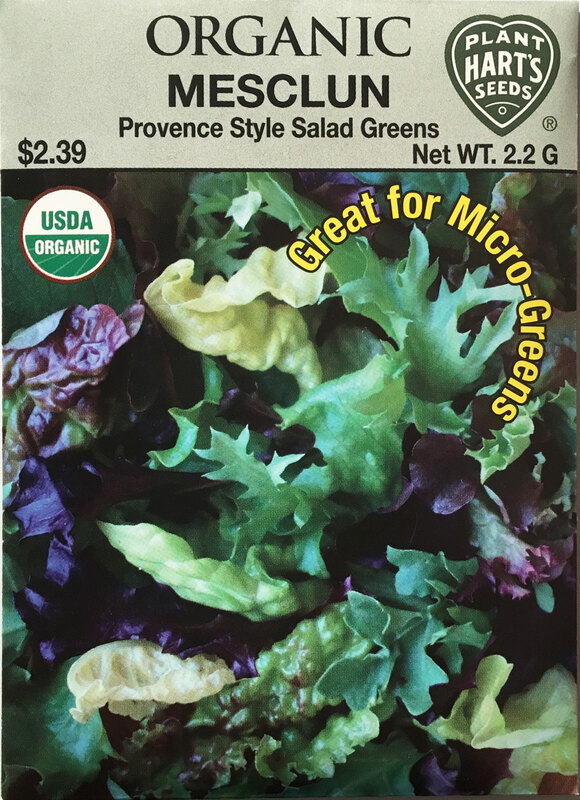 The perfect mixture of tender greens made popular in southern France, this colorful blend contains lettuces, arugula, and endives. 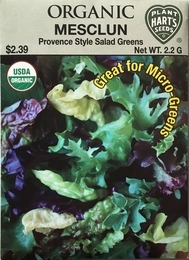 Cut as baby greens or mature plants. This mixture also performs well as micro-greens. Harvest entire baby plants to enjoy and then reseed right in the same location for a later harvest. Contains: 25% each of Valerie bi-color, red leaf and green leaf lettuces, 10% arugula, 15% endive Catalogna bi-color blend. Planting time - as soon as the ground can be worked in the spring and every 2 weeks until frost for a continual harvest of baby greens. Grow inside for year round fresh greens on your windowsill. Germinates in - 7-15 days depending on the soil and weather conditions.